According to the Office for National Statistics (ONC) emigration from United Kingdom (UK) has remained at a static level since 2010, but that doesn’t mean that no-one is leaving UK shores; far from it. ONC figures also suggest that approximately 323,000 people emigrated from the UK in the year ending June 2014. It’s difficult to be completely accurate as to the numbers of British people living in other countries, as large numbers of expats are not registered in the country where they reside. However, official United Nations (UN) statistics suggest that over five million British citizens in total live elsewhere. UN figures also suggest that the top five countries of residence for these expats are Australia, the United States of America (USA), Canada, Spain and New Zealand. The most prevailing reason for British relocation is employment. According to a Home Office Emigration Research report, published in November 2012, 44% of those people emigrating who gave a reason stated that they had a definite job to go to, with another 28% saying they were moving to look for work. That being said, there are obviously reasons why people chose a specific country to go and work in, which can be connected with anything from lifestyle to weather. Let’s take a look at the top five British emigration destinations, as suggested by the UN, and see what their attraction is. This country has always been a popular destination for British emigration. The one major factor that is often seen as a positive for emigration to Australia is the weather, which is a lot more temperate than it is in Britain; Tasmania is the coolest Australian state, but it still has an average annual temperature of 16°C (compared with an average for England & Wales of about 10°C, and just 8°C in Scotland). The weather allows for a far more outdoor-friendly lifestyle, with barbecues, sporting activities and trips to the beach making for popular recreational activities. The process of relocating to Australia is by no means simple, but there are opportunities, with many people choosing to apply for a visa based on the Skilled Occupations List. Of course there are other means of applying for a visa such as nomination by related Australian citizens or at state level. It’s highly likely that emigration to Australia will continue and that the over one million expats who already live there will be joined by many more, especially with TV shows such as Wanted Down Under displaying the attractive lifestyle and surroundings on offer. According to UN figures the USA is the country with the highest number of immigrants in the world, a total of over 45.8 million people, so it’s hardly surprising that it’s a popular destination for Brits. After all the ‘land of the free’ often seems to offer the promise of opportunity for everyone. No matter that there has been a little tarnishing of US reputation through the global financial crisis, the American Dream is still alive and well to a lot of people. Add to that the allure of the weather in states such as Florida, and the extra acreage you get for your money in many places, and the USA can have tremendous appeal. Anyone who wants to relocate to the USA from the UK has to have an immigrant visa, issued by the US embassy, although this is no guarantee of being granted a Permanent Resident Card (more commonly known as a Green Card). Of all Western countries Canada’s economy probably survived the global financial crisis in the best health. This economic strength in itself makes the country a popular emigration destination. Canada also has a reputation as a civilised and liberal country; some Britons feel that some of the manners and civility that Britain had have diminished, thus many feel that Canada presents an opportunity to experience a society with similar traditions amidst a more civil environment. Canada also has a reputation for excellent healthcare and banking provisions. According to UN figures, Spain is the most popular European destination for British emigration, and it isn’t difficult to see why. This is a country where you can emigrate to, and experience a more temperate climate, whilst still being close enough to the UK to travel home quickly, and often, if required. For those people who want to escape the gloom of the British weather, without committing to long-distance relocation in countries such as Australia and New Zealand, it offers the ideal solution. An expat living in Spain can be back in the UK within 2-4 hours should there be a family emergency. Of course, with the current strength of the pound in the still-recovering Spanish housing market, it’s also a good place to buy property. Probably the main attraction New Zealand offers is space. That may not seem a big deal, but if you’re a British urbanite looking for a more relaxed lifestyle it’s a huge positive. Wherever you are in New Zealand, even in the middle of the largest cities, you are only a few minutes away from the beach or the countryside. Although there is much reference to the native Maori culture in New Zealand, there is also much similarity with British culture, so for expats it’s almost as though the UK has been transferred to a more sedate and tranquil universe. Of course there’s also one other very simple but quite useful advantage of New Zealand as a country of abode: they drive on the left-hand side of the road. As with many countries, it’s not easy to gain entry to New Zealand to live, but there are opportunities for people who work in the industries from which skilled workers are required, and for people who have exceptional talent in the arts or sports. There are also situations where those relocating can be sponsored by New Zealand nationals. Although numbers of emigrants from the UK aren’t rising, they are keeping at a steady pace, so it looks as though the five million expats who live in these top five destinations, and many others, will be joined by many more British settlers in years to come. Olly Sampson co-owns Brighton removals firm Bee Moved. 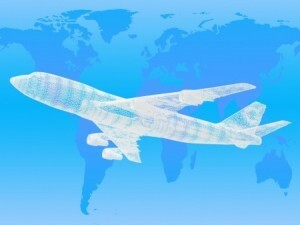 They have helped many families begin their expat journey. This entry was posted	on Monday 16 February 2015 at 09:02	and is filed under Lifestyle. You can follow any responses to this entry through the RSS 2.0 feed. You can leave a response, or trackback from your own site. It’s a pitty to find out that so many Brits are living abroad spread all over the world. Obviously it seems like not all of us accept this typical damp weather or just feel the need to explore other places or look for a better job as you pointed out. I am not surprised at all with the list- we all know AU and USA are among the top choices for immigration. Most of my friends who live abroad settled down precisely in these parts of the world. However, there is one interesting trend the last few years. Some of the elderly people I know prefer to go to Eastern European countries such as Bulgaria and Romania. I was quite curious about the reason behind that. My perception of these countries was about poor and not very developed economics. It is partially true, but the people, who prefer to replace the “posh” British life with the Eastern European reality, look mainly for calmness and less stressful life. For what they told me in these two countries there are almost abandoned villages where they buy houses for as little as 5-10,000 pounds and then lead a peaceful life exploring the local customs and traditions. There certainly was a rise in popularity for Bulgaria for a while, but there were different motives. As you say, some just preferred the more peaceful lifestyle. However, some people also went there hoping to take advantage of the low costs and make some money out of the expat property boom there. But the low costs also meant that some people found it difficult to make a living and some became quite desperate, even to the extent of ripping off their fellow expats. Subsequently it lost popularity as a destination. Thailand was also very popular for a while but many became fed up of the ever-changing laws and political troubles. The popularity of lower cost and less developed countries tends to ebb and flow. However, some countries are always popular, especially the English-speaking ones, where people believe they can create better opportunities for their families. Are you also thinking of becoming an expat? I definitely agree with you on all points and by the way recently I read an interesting article in Daily mail where they claim that 1/3 of British expats would like to move back to the UK and 40% admit they are homesick but even though they do not plan to go home soon. And about me- I don’t have any plans to go abroad in the next 5-10 years but then who knows. I have quite a few UK friends in France, so that may be my future destination. Hi Benjamin, I also have quite a few friends who bought properties in Bulgaria, but that was years ago. Now, as far as I know, it’s not a very popular destination. Even the Russians who used to buy dozens of apartments on the Black Sea coast are not that interested any more. Of course there are some economical reasons that stand behind this, but this is another subject. In my case I am thinking about relocating to Barcelona, Spain. It’s a city I love and the rents are amazingly lower than London. Recently I even read a story about a guy who works in London but lives in Barcelona and takes the plane every single day… just amazing! I moved to the USA in my early 30’s, it was a very good life. Compared to the UK work was much easier to find, the wages were higher and most things were less expensive especially food and travel. I loved how Americans went out most evenings and weekends to eat or visit friends or go somewhere cool and not sit in eating tv dinners and watching eastenders like us Brits. It wasn’t all roses though. You get much less holiday time and you pay to see a doctor. I came back to the UK when I turned 40 mainly because all my family is here. If you get sick or can’t work for any reason in America there is very little help. You need a network of friends and family to help you out if anything goes wrong. So many people are living on the streets there. One guy I used to talk to waiting for the bus outside work lost his wife to illness, then he lost his home because of the medical bills. Then he lost his job soon after. He lives out of carrier bags and sleeps at bus stops. I’m thinking of moving again now I’m 45 to somewhere I feel I would enjoy retiring in time. I would love to move to Canada but its so hard to emigrate there. Probably somewhere in Europe like France or Germany. The UK is no longer a great country to live due to poor social mobility, crime, too many taxes, uncontrolled mass immigration causing a public strain on school places, hospital appointments, working class jobs, and public transport. This is the case in London, where the population is almost 9 million, and the next biggest city, Birmingham has over 1 million. London is an expensive city to live in and many boroughs have rapidly changed socially and economically for the worst under the Last Labour Government (1997-2010) and Labour-run Councils. It has also changed rapidly in terms of demographic, whereby too much immigration without assimilation has occured, causing ‘white flight’ and creating segregated ghettos in urban and suburban communities.